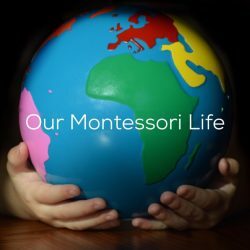 My ever kind and talented Montessori cohort Meghan at Milkweed Montessori asked me the other day how Quentin’s concentration had changed since he started school. And that got me thinking. Everything has changed since Quentin started school. He started in September in an all day 3-6 class. He is the youngest, but he holds his own. There was some separation anxiety after the first few days, but he quickly adjusted. Quentin had been going to a daycare for quite some time, so we knew he was capable of the days. However, we had no idea what we were in store for. Everyday he comes home with new songs. He’ll just be sitting at the dinner table and out will pop something. Last week he was sitting on the couch with us during our pre-bedtime routine and he started naming off the months of the year. Correctly. We realized early on in the school year that his little body (and huge brain) were working hard during the day, and that we wanted to be mindful of this. As Montessorians we have had activities that hold Quentin’s interest on his shelves since he was 9 months old and before that on his movement mat. 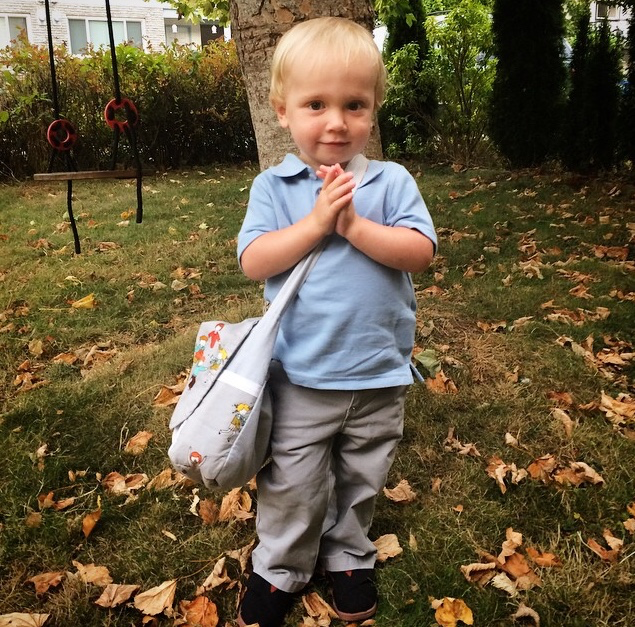 However we have never had any of the classic Montessori classroom materials here because we knew he would one day go to a Montessori school. It’s important to us that his home not exactly match his classroom, but instead compliment each other. With Quentin going to school however it made us even more aware that when he got home he should be given the opportunity to rest if he chose. And for the first month he did. For the first month he didn’t touch his shelves. 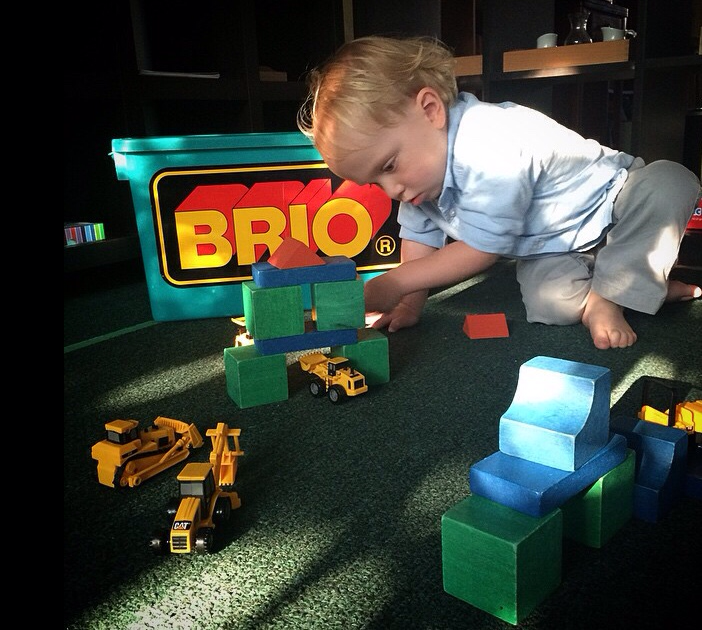 He was only interested in his “opened ended” toys such as his basket of blocks and machines. 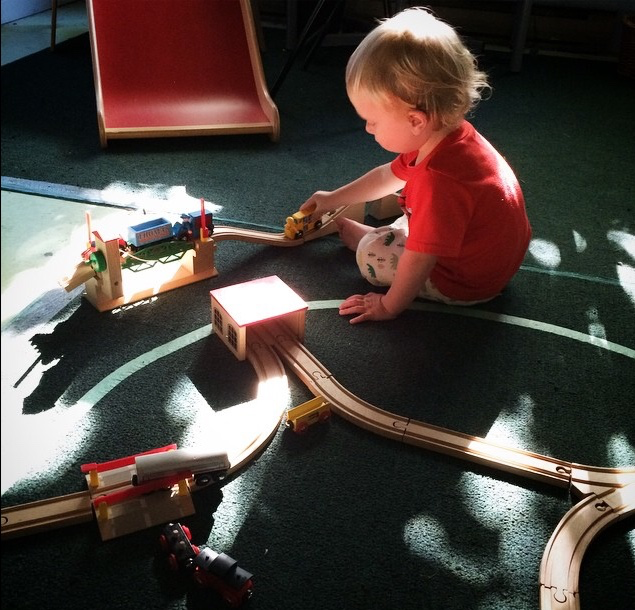 The train set also allowed him to sit quietly and concentrate. He also would get out his farm. These toys allowed him to peacefully transition from school to home and just “come down” from the day. We “Followed the Child”. I would put new activities out on his shelves and he would sometimes stop and look but it was usually only for a moment. 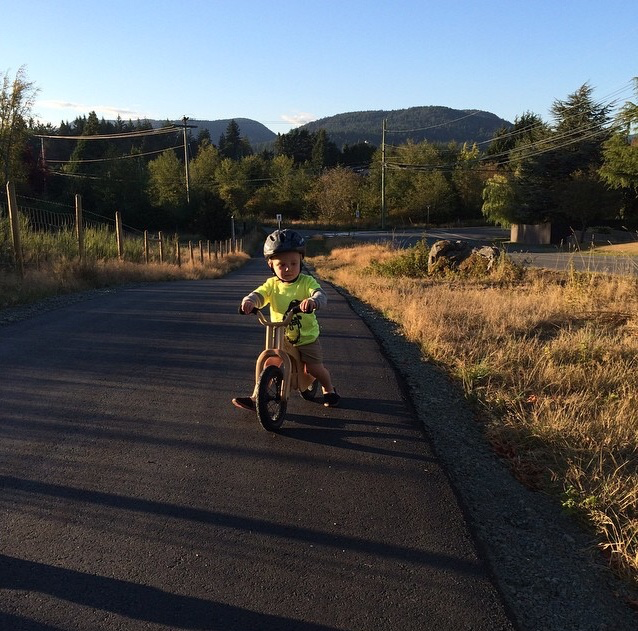 We also took advantage of the last of the summer light and got outside in the evening. That was September and early October. Now in November he has returned to working with his materials on his shelves. He will come and get me and say “Will you please work with me Mamma?” His concentration has slightly increased perhaps, but what has changed is his self confidence. He is definitely no longer a baby. He is a boy who knows what he wants and how to get it. Usually while singing. There has been a surge of “No Mamma, that’s my job.” His eyes piercing, his small voice never faltering. We dreamed of this. 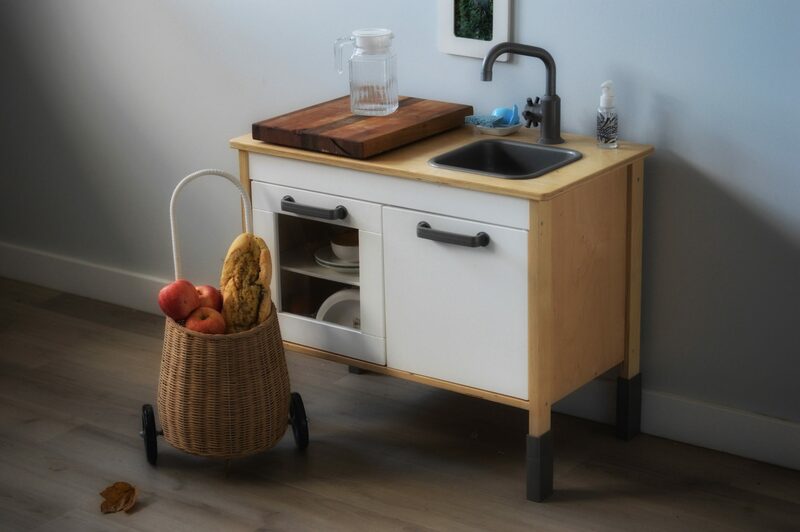 The day when our journey to bring Montessori from the classroom into our home with the birth of our second child, would turn full circle, and see that child take Montessori back to school. And so he does, singing the days of the week in French as he goes.